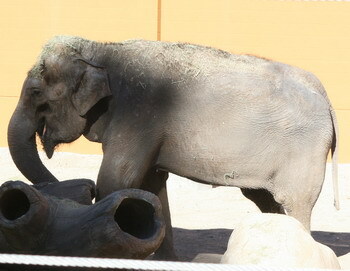 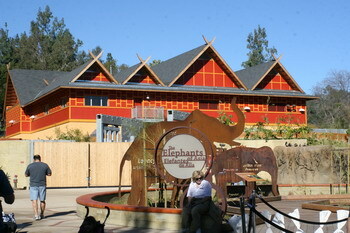 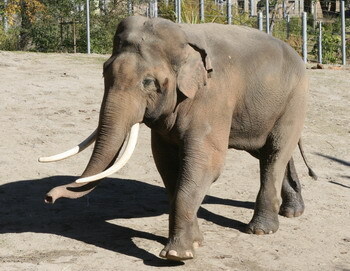 in the new Elephant enclosure at the Los Angeles Zoo. 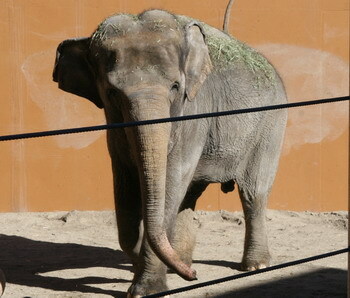 While the ladies are still under quarantine, Billy is free to roam and test some of the amenities of his and the “girls” new home – like the built-in shower. 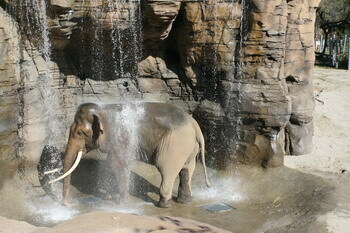 Now I know what a thoroughly happy elephant looks like.